Huge Savings Item! Save 11% on the Gymnic Ledraplastic 8011 Over Ball - 10 Inch - colors may vary by Gymnic at MZ Italia. MPN: FBA_8011. Hurry! Limited time offer. Offer valid only while supplies last. One of our top sellers!. 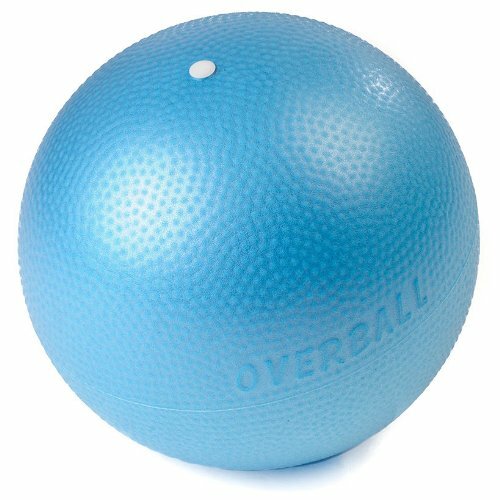 A very nice play-ball for all ages especially for kids and seniors because it is easy to grip and does not hurt on impact. One of our top sellers!. A very nice play-ball for all ages especially for kids and seniors because it is easy to grip and does not hurt on impact. Its soft smooth texture very light weight and portable size make exercising at home office or travel easy and pleasant. Great fun for indoor and outdoor playing. Latex-free. If not fully inflated these balls can also be used as cushions. Made from strong and durable PVC foam. Pink blue and yellow assorted pastel colors. Lightweight great fun for indoor and outdoor play. Inflates by mouth with straw supplied in package. Maximum inflated size 10". Ages 4 years and up with Adult supervision.